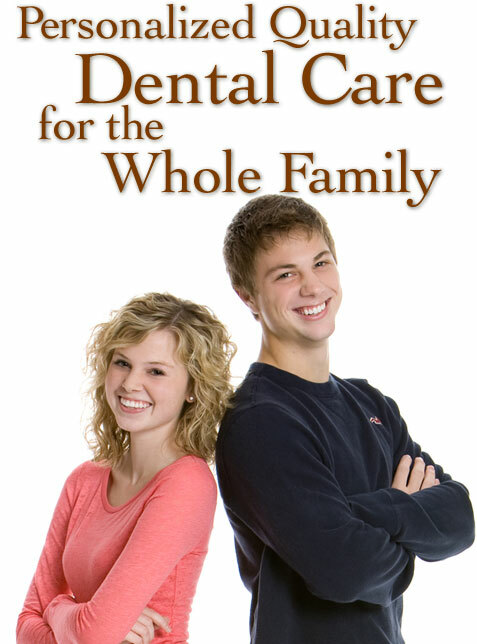 North Dayton Family Dental has a calm and comfortable atmosphere. Our office is equipped with the latest in dental technology and we will assist you in achieving your goals for a beautiful, healthy smile. We truly enjoy what we do and work together as a team to meet your dental needs. A healthy body begins with a healthy mouth. Current research links the bacteria that cause cavities, gingivitis and gum disease to serious health problems like heart disease, stroke, and diabetes. As a general dentist, Dr. Sanjeevan is well trained in advanced dentistry and TMJ/TMD treatment. He not only seeks to uncover the root cause of your dental issues, but he also strives to restore proper balance, function and health to your mouth as well as the rest of your body. At North Dayton Family Dental, we understand the feeling of confidence that only a vibrant smile can bring. Crowded, misshapen, discolored, chipped or missing teeth are just a few of the problems that can be overcome by using Invisalign, bonding, crowns, advanced whitening systems and the most current techniques in cosmetic dental practices. Dr. Sanjeevan will work with you to create the perfect, natural smile you’ve dreamed of. Serving Dayton, Trotwood, Huber Heights, Brookville, Vandalia, Englewood, Troy and surrounding areas, our practice is conveniently located at 5538 Philadelphia Drive, just off the corner of Main Street and Philadelphia Drive, in the Rosewood Medical Building. We offer flexible early morning hours as well as late evening hours to fit into your busy schedule. Don’t have dental insurance? Ask about our Healthy Smile Discount Plan! This affordable alternative to dental insurance provides annual preventive dental care at a discounted rate! It entitles each participant to two professional dental cleanings with one of our highly skilled dental hygienists, two oral exams, one set of x-rays, and one full mouth periodontal charting each year. It also provides discounts on all of our available dental procedures. The plan is convenient, easy to use and it is available to the entire family!